Profile Response: Theresa McCulla and Brian Goldstein, Albuquerque NM | How Will We Live Tomorrow? 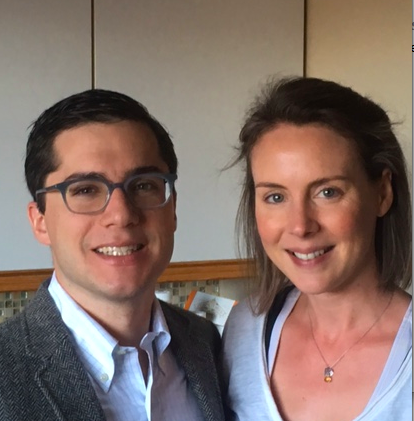 Theresa McCulla and Brian Goldstein met as undergraduates at Harvard where each developed academic expertise in niche studies of American history. Brian is an architectural historian who focuses on the social and economic implications of what we build. His research on the history of urban development in Harlem in the late 20th century was recently published as The Roots of Urban Renaissance. Theresa is a doctoral student in American Studies who researches the food culture of New Orleans. How a Cincinnati boy and Virginia girl who studied New York City and New Orleans from Cambridge, MA wound up in Albuquerque is representative of academia’s geographic pinball. Brian is in the third year of a tenure-tract position at University of New Mexico. Their personal ‘tomorrow’ will follow the complex path of many dual-academic couples that try to find one place for both of them to pursue their passion. But their responses to my question transcend their particular situation. 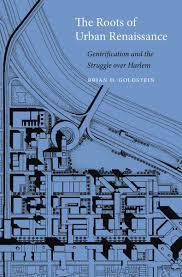 This entry was posted in Responses and tagged Albuquerque NM, Brian Goldstein, Harvard, Teresa McCulla, The Roots of Urban Rensaissance. Bookmark the permalink.